The Gizmos & Gadgets Kit is the ultimate invention toolbox. Motors; wheels; lights; switches; servos; buzzers; even the tools to build a remote control. Snap it all together to spark creativity and fun. 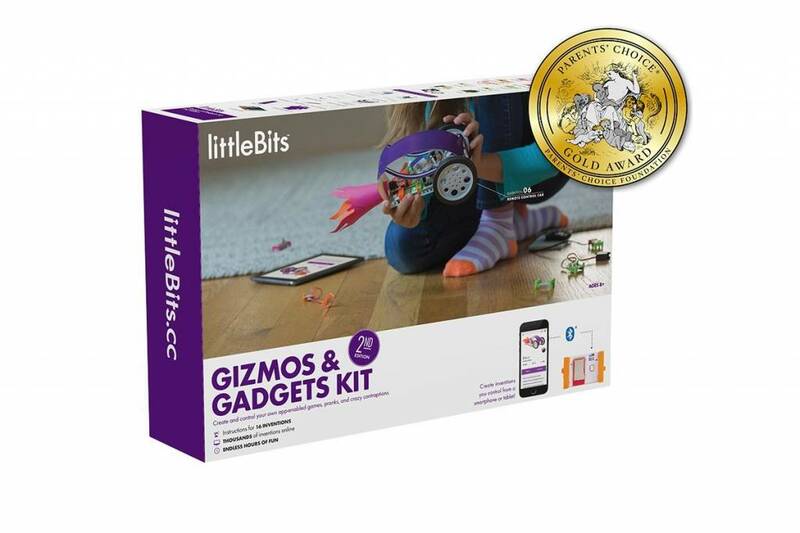 The Gizmos & Gadgets Kit is the ultimate invention toolbox. Motors; wheels; lights; switches; servos; buzzers; even the tools to build a remote control. Snap it all together to spark creativity and fun. 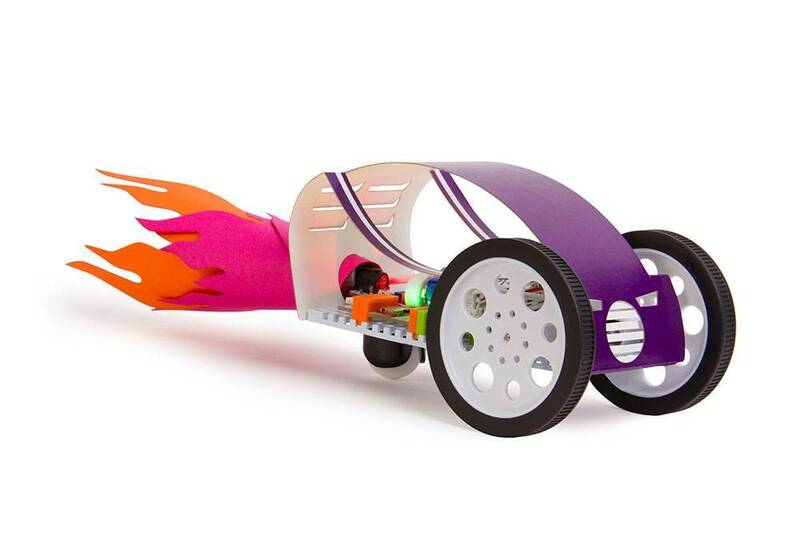 Want to invent a remote control racecar? Do it. Create an automatic bubble blowing device? Go for it! Make a wireless doorbell; a bumper ball game; even a mischief machine to scare the pants off friends and family. Start with step-by-step instructions for 12 inventions; then break out of the box and hack your world for fun. Start inventing the minute you open the box. 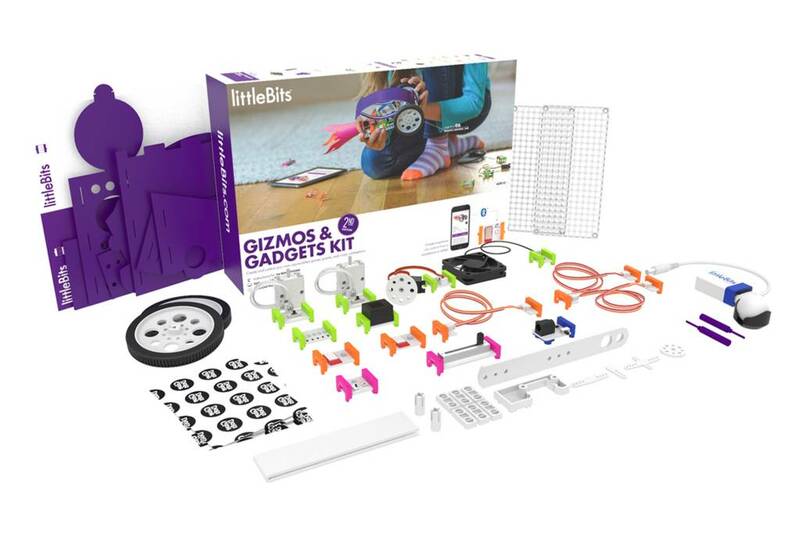 The Gizmos & Gadgets Kit comes with 15 electronic building blocks; a detailed instruction handbook; and all the accessories and tools you need to unleash the inventor within. Create; play; remix; then share your creations with the world. Need some inspiration? Check out the thousands of inventions on our community pages and the free littleBits app. Want to do even more? Explore the worlds of coding; electronic music; smart devices and more with additional littleBits Kits. Develop creativity and engineering skills as you reinvent the world around you.